You probably already enjoy their beer – including Pale Ale, Rogers' and Dog Days – so here's a way to take your Little Creatures love a little deeper. The craft brewery has created a party that’s doing the rounds of our capital cities – it's called Little Creatures Live, and it's headed back to Melbourne for Good Beer Week. 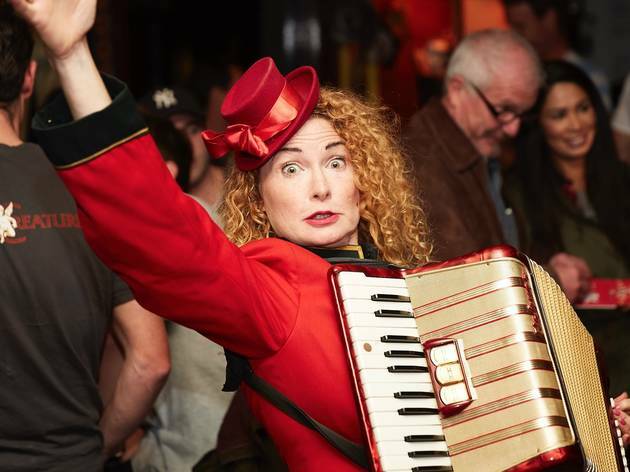 On Thursday May 17, Fed Square’s beloved haven Beer Deluxe will host this travelling roadshow that celebrates being a little different through live performance art and craft beer. GABS attendees will enjoy an exciting range of beers and roaming performers under Little Creatures’ colourful container top. 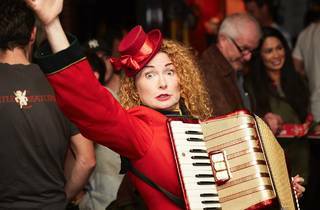 Your MC for the night will be comedy legend Liz Skitch and there'll be a rotating roster of live entertainment from sideshow master Gordo Gamsby, contortionist Amanda Lee, vaudevillian comedian and juggler Mr Fish and hoops extraordinaire Miss Ellaneous.